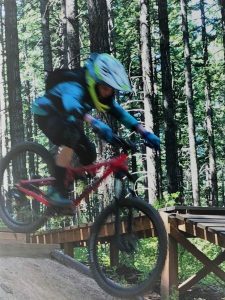 CSAT’s MTB Program emphasizes positive interactions, a growth mindset, and trail stewardship through the lens of mountain biking. Programs are available during Fall, Summer, and Spring and are open to kids ages 7 – 15. 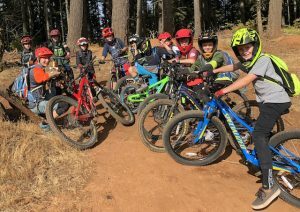 Participants will join a small team of riders with similar skill levels and will receive top level coaching on all aspects of mountain biking from the basics such as body position and braking to jumps, drops, tech, and high speed corners. Post Canyon is our primary stomping ground and CSAT members learn to take pride in the trails they will ride on a regular basis. Our goal for is each rider to cultivate a love of outdoor recreation, spark excitement, and improve MTB skills and safety. CSAT’s after school teams focus on skill development, exploration, and creating a positive team atmosphere. Within a team environment riders will explore the Gorge’s amazing trail networks while growing each rider’s MTB skills and confidence. All programs provide pickup directly after school and families can meet their rider at the bottom of post canyon at the end of the day. Teams are organized by rider’s age and ability. Post Canyon Pick-up Develop confidence and increased abilities to ride mountain bikes over a variety of terrain! 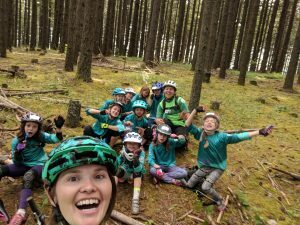 A girls only rider cohort team led by an all girls coaching staff will create a supportive and fun environment that encourages girls to take risks, push boundaries, and establish strong mtn bike skills. Examples of skills taught include cornering, braking, riding over obstacles, balance, descending, and climbing. Emphasis will also be placed on rider preparedness, basic bike maintenance, and trail stewardship. Post Canyon Pick-Up Learn and practice enduro style riding to become faster, smoother descenders but also develop the fitness and strength to climb and cover miles of trail. Skills taught will emphasize cornering technique, riding over and down obstacles, jumping, drops, speed, and climbing. Riders will also gain experience with leadership and trail stewardship. This group will look to practice line and tactics in race settings and will challenge riders to become better, stronger, faster mountain bikers. 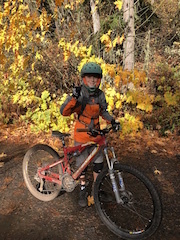 Post Canyon Pick-Up Gain experience and confidence mountain biking and trail preparedness. Designed for intermediate riders who are looking to improve their mtb skills, and push themselves while having fun. Athletes will practice balance, cornering, switchbacks, riding over obstacles, drops, climbing, and jumping. Basic bike maintenance and trail etiquette will also be taught and emphasized throughout the program. 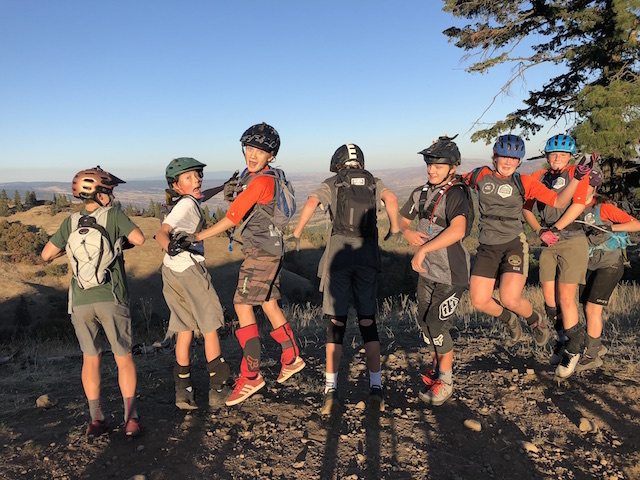 Post Canyon Pick-Up Middle school riders will gain experience and confidence both in mountain bike riding and preparedness. Designed for intermediate riders who are looking to improve their mtb skills and push themselves while having fun. Athletes will practice balance, cornering, switchbacks, riding over obstacles, drops, climbing, and jumping. Basic bike maintenance and trail etiquette will also be taught and emphasized throughout the program. NOTE: DUE to the change in the Hood River County School District calendar program dates have shifted to start on June 24th instead of June 17th. Programs scheduled for July 4th will be held on July 3rd! Summer Team Programs consist of a team who ride together once or twice (depending on the program) every week over the course of four weeks. In addition to becoming stronger and more confident mountain bikers, team riders also learn what it means to be a part of a team. We emphasize camaraderie, goal setting, and a growth-mindset to help each individual athlete become not only a better mountain biker, but a better person. All Team Programs are intended for intermediate – advanced riders. If you are new to mountain biking, check out our Development Programs! All programs include a Dakine jersey and Clifbar snacks! June 24, July1, July 8, 15 8 - 11:30 Register! June 25 - July 18th 8 - 11:30 Register! June 25 - July 18th 1 - 4:30 Register! July 29, Aug 5, 12 ,19 8 - 11:30 Register! July 30 - Aug 22 8 - 11:30 Register! July 30 - Aug 22 1 - 4:30 Register! Spend three days exploring the trail systems of Sandy Ridge, 44 trails, and the Gifford Pinchot. This camp is for advanced riders only! Each day we will drive to one epic destination and spend all day riding! The Developmental Camps are designed to take intermediate riders and help them increase their skills and confidence on the bike. Riders work in small groups with a high coach to rider ratio ensuring individual attention for all! 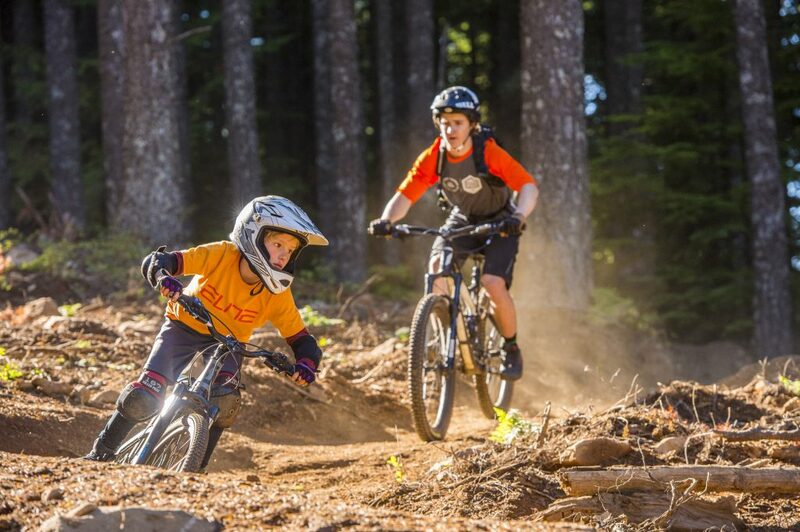 Kids should have some previous experience mountain biking and should be able to ride mix tape and or Kleeway. June 19, 20, 21 8:30 - 11:30am Register! June 25, 26, 27 8:30 - 11:30am Register! July 9, 10, 11 8:30 - 11:30am Register! July 16, 17, 18 8:30 - 11:30am Register! June 25, 26, 27 1 - 4pm Register! July 9, 10, 11 1 - 4pm Register! July 16, 17, 18 1 - 4pm Register! A girls only group, led by all female PMBI certified coaching staff, will focus on skills, fun and rider confidence. In conjunction with Family Man’s terrain, coaches will utilize progressions and fun drills to increase riders’s confidence, skills, and abilities. Riders will put those skills to work with short rides and shuttles that provide opportunities to push the envelope and increase confidence. Riders must have experience riding on dirt and be able to ride Lower Eight Track and Klee Way. Cost includes transport to Post Canyon and CSAT MTB Team jersey. 9AM - CSAT leaves with riders from parking lot north of Kick Stand coffee. 12PM - Parents pickup at bottom of Post Canyon, where pavement turns to dirt. Program includes a Dakine Jersey and Clifbar Snacks! Incoming 2nd - 5th Grade June 15, 16, 17 9 - noon Register! Incoming 2nd - 5th Grade June 29, 30, July 1 9 - noon Register! Incoming 6th - 8th grade Jul 20, 21, 22 9 - noon Register!